Preparing for a wedding is probably one of the most stressful, detailed, tedious, but most fulfilling thing to do for a soon-to-be-bride. I was once in that position for several months since the time Mac proposed to me last March. The stress of preparing doubles when the soon-to-be-bride is the one planning for her wedding and didn't hire a wedding planner or coordinator, to save a few thousands at least. During my wedding, I was asked who my wedding planner was. When I answered none, I always get a surprised reaction from friends. 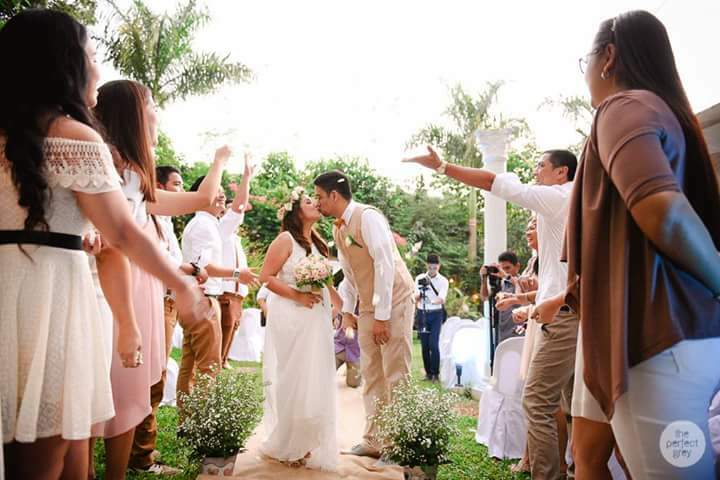 They said our simple yet heartfelt wedding looked polished and well-planned. Whenever I hear that, I never fail to give myself a pat on my back and daydream to turn wedding planning into another career. Well, the main reason why I didn't get a wedding planner is first to save money because we have a certain wedding budget. Second, I love events planning and coordination and I do it quite frequently at work. Create a Wedding Master List- I did mine in MS Excel so I could keep several sheets/notes in just one document. It contains the following details, Wedding Pegs (link from blogs or wedding websites), Budget Details (amount to be paid, paid goods or services, balance, total expenses, accounts receivables or payables, and anything related to money), Venues comparison (rates and inclusions), Guest List (I separated Groom's and Bride's guests and adults from kids to better manage it), Suppliers contact list, Program (Running Schedule of preparation and day itself), and all the other notes you need to help you keep the wedding preps together. Research well. For the suppliers that you will book, I highly suggest that you ask for referrals from family or friends who had a first-hand experience on the goods or services. You may also look for online reviews of suppliers. When you had shortlisted your suppliers, do a comparison, get details on inclusions, weigh on where you'll get the best out of your expense. Attend wedding expos as well to personally see the work samples of different suppliers in the wedding industry. You'd get loads of discounts too and it's a one-stop wedding shop where choices for suppliers are abundant. Create a Pinterest account - You know when you have a lot of ideas for your wedding, the look,. the color, the details and you want to put everything together? That's what Pinterest does for you. 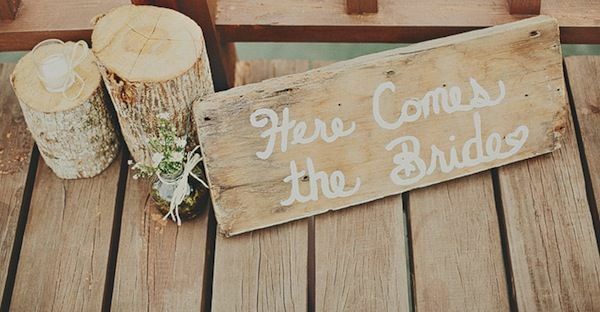 I did a special board for all my wedding pegs on Pinterest. I just pinned all the photos that I would like my own wedding to look like. It actually worked well for me because my wedding's DIYs almost looked the same as what I pinned on Pinterest. Most of my guests even said that my simple rustic themed wedding looked very Pinterest-able. Set and (as much as you can) Stick To Your Budget - My rule with my husband on budget is never, as in no way, that we will go over P200K. We spent P170,000++ ALL-IN for the wedding for those who are curious on our wedding expenses. Some may still not find that amount an "intimate" or "budget" amount for a wedding, because truthfully, there are many suppliers who are offering wedding packages for as low as P50,000. But that budget does not cover other miscellaneous expenses like hotel accommodation for preparations or the gown that you dream of. It also only covers 30-50 pax attendance, and sometimes not in the venue that you and your spouse like. With what we spent, we got everything we needed, not very elaborate nor grand, but we had what we dreamed of in the place we wanted it to be. There were items that we had to prioritize and let go as well to be able to stick to the budget that we set for our wedding. That's the way it really should be. Ask help or delegate tasks. As couples, we could only do so much, especially that both of us are working. Apart from creating a Wedding masterlist and setting a timeline or plotting an effective schedule to keep preparations in order, it helps a lot if you involve your family and very close friends to help you. Delegate some tasks to them, like who to pick up the cake and bring it to the venue, who will help set up the venue or who will take extra photos, who will bring the giveaways to the event venue. When I say help, this isn't limited to family and friends, this could also mean getting help from a wedding coordinator on the day (if budget permits). Asking help or delegating tasks will get a great load off your shoulder, especially on your wedding day. Have Fun. Last but not the least, preparing could of course be really stressful, but don't take the fun out of it. Remember, you are finally getting married to the love of your life! Don't let the preparations get the best out of you. Just make sure, you agree from the very beginning on your wedding preps Do's and Dont's, commit to the schedules you set, stick to the budget, and everything will be A-Okay! :) Never forget to have fun so you could take the stress out of your systems. So to you dear soon-to-be-brides and husbands, these are some practical tips I could share in effectively planning your wedding. I could say, even if I've been planning so many events since my first job, planning a wedding is different. Super different because it's my own special event. It's even different from my children's birthday parties or baptismal reception. Basta super iba talaga kapag wedding. Expect it to be stressful, especially when sometimes you don't agree on some items and you have to decide on something but both of you have different take on it, naku, huwag mag-aaway. So it's really important, to keep the love and maintain the peace between you and your soon-to-be-spouse. Wedding planning is painstaking they say, but I say, it's a butterfly-in-your-stomach kind of feeling because it's both exciting and a bit pressuring, just because you want to have a perfect wedding on your special day. But again, there's no perfect wedding. God really knows the best time for you. Cos when negativity started to invade my headspace and I was a little bit worried about how things are going to be on my Big Day, I got to read this post about wedding planning. I realized I do the same things that you did when you were still planning. :) We decided not to get a wedding planner because, aside from having a limited budget for our wedding, we want to "feel" the planning. And I guess it's a really good thing because this is like an "on-the-job training" to marriage: making decisions with your partner.